Welcome to the first of my retrospectives looking at numerous games in my library, or in some cases formely as I strive to remove excess games from my shelves. At the middle of last year, my shelf had over 260 titles on it from numerous platforms and this number will continue to drop. 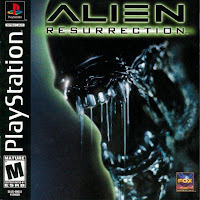 However hopefully by blogging my memories of most of these titles will allow the ones I sell to live on, because normally memories of these games is better than how they are when you replay them years later 😉 As you can tell by the title I’ve started at A, and thus the first game here is Alien Resurrection. I’d followed the development of the game for a while, because the game took quite some time to release. While the title was announced back around the time the movie it was based on was released, mid 1997, the game was originally planned as a 3rd person adventure title. First as a quasi-top down title, then a “Tomb Raider” style, before finally settling into a first person shooter. The time to release AR took a massive toll on the title as the game didn’t get a release until around the time the PS2 was launching in the US and Europe and thus it was a massive flop as far as sales went. Critically it got mixed reviews, and based on the fact that the excellent Aliens Vs Predator PC title had come out the year previous most suggested if you had the ability to play the PC title over this you should be. I originally rented the game before purchasing it some years later for far cheaper than it’s original launch price. For a PS1 FPS it had quite highly detailed enviroments, characters, and enemies even given it’s limitations. The game was also quite lenthy and didn’t suffer from a lack of good ideas when it came to some new ideas in the genre. The things that I do recall causing me issues over the times I played the title was dealing with the fact that much of the hallways looked simular causing issues where you’d feel like you’re just in a maze. Additionally constantly having to find key cards to get through doorways got quite frustating and repeditive. I managed to finish the game, and while I’d been waiting for this title a while (spurred on by Alien Trilogy, likely to be my next Game of the Post), I was happy enough to add this to my collection for a while. 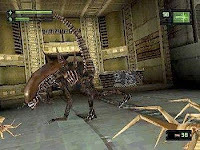 Had I had the ability back in 1999/2000 to spend a lot on picking up a copy of the PC Aliens Vs Predator, I probably would have and ignored this game but a rental of this game from the video shop did me well at the time. 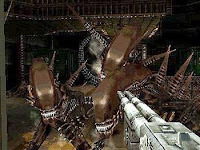 My intent on buying it was based mostly on the fact that I am a fan of the Alien movies, but also that I have a good time playing it through when I rented it out… sadly, much as I started this post about, the game wasn’t as great when I replayed it several years later as I had remembered. I’ve just recently sold the game in a windfall listing on my local auction site Trade Me where it sold for around $24NZD. Considering I purchased it in a package for 3 titles originally for $50 total, I was quite happy with the outcome and someone else will get to play through the title, and hopefully enjoy it as much as I originally did all those years ago.